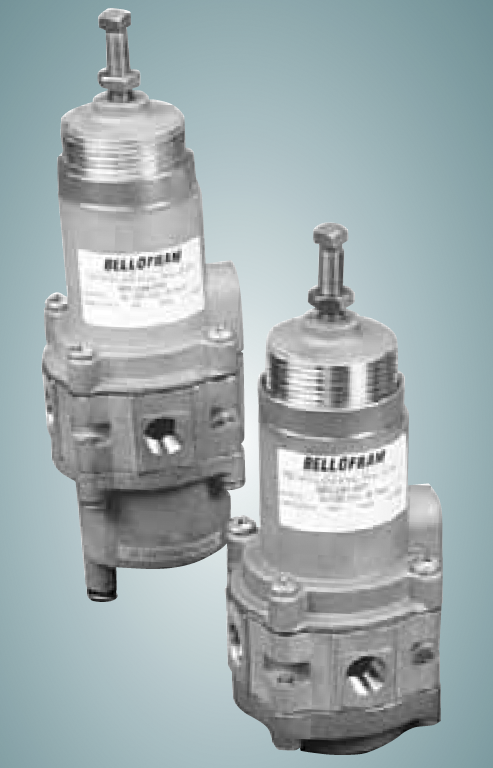 Bellofram Precision Controls Division (PCD) of Marsh Bellofram designs and manufactures air and gas pressure regulators, relays, servo pressure controllers, I/Ps and E/Ps, analog circuit card pressure transducers and regulators, diaphragm air cylinders, FRLs, and compatible accessories for a wide variety of commercial and industrial applications. 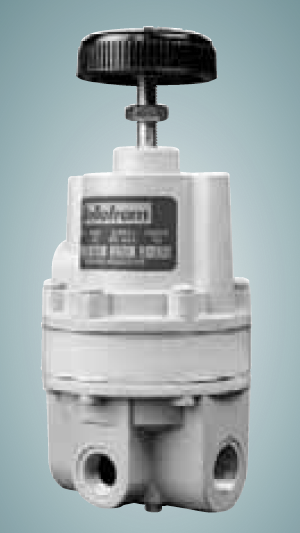 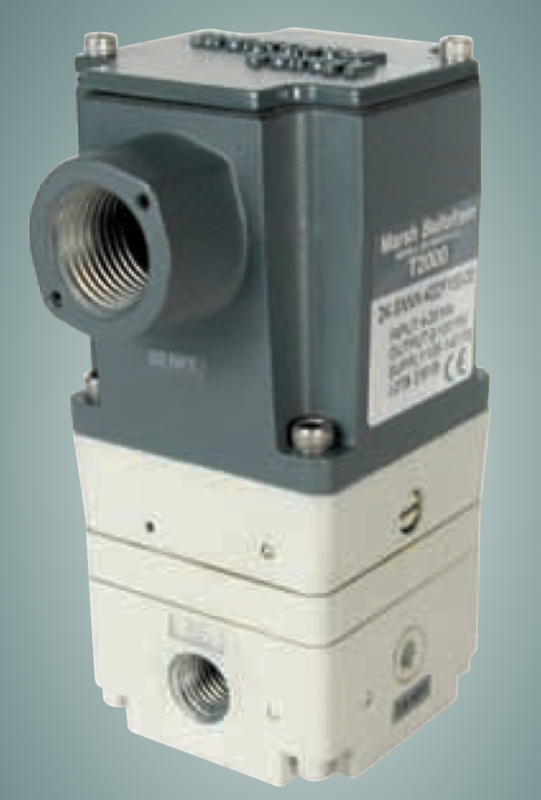 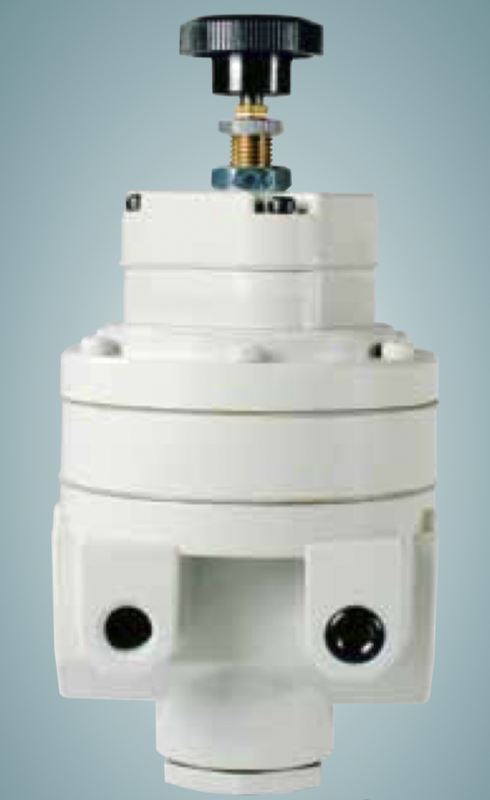 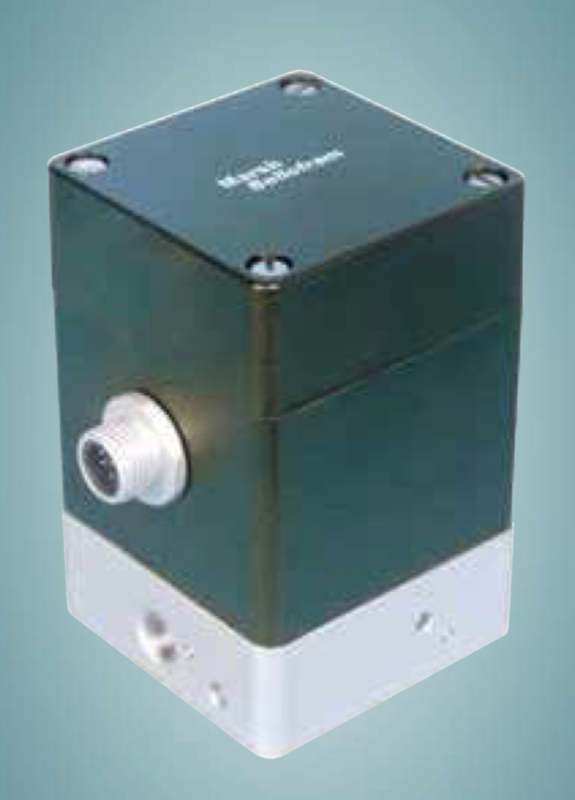 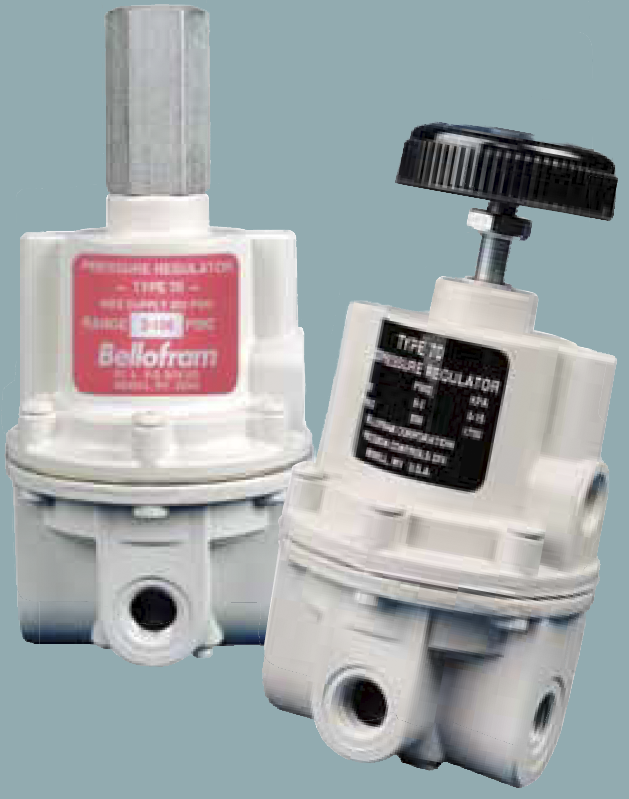 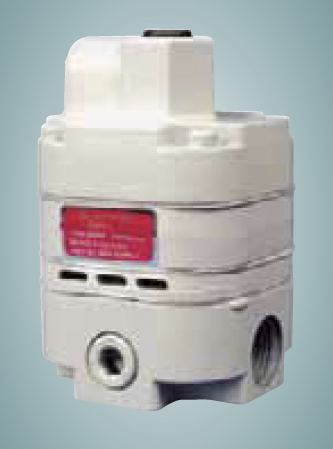 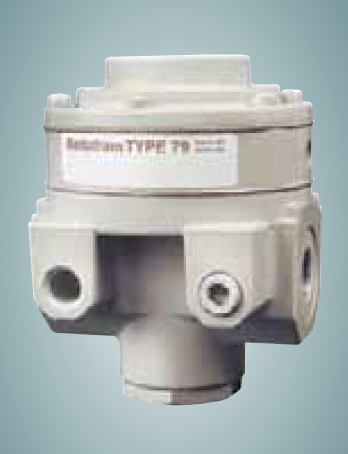 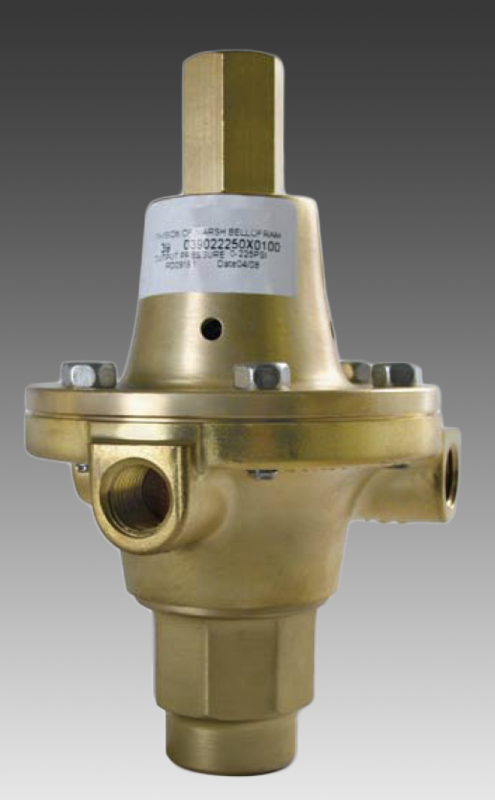 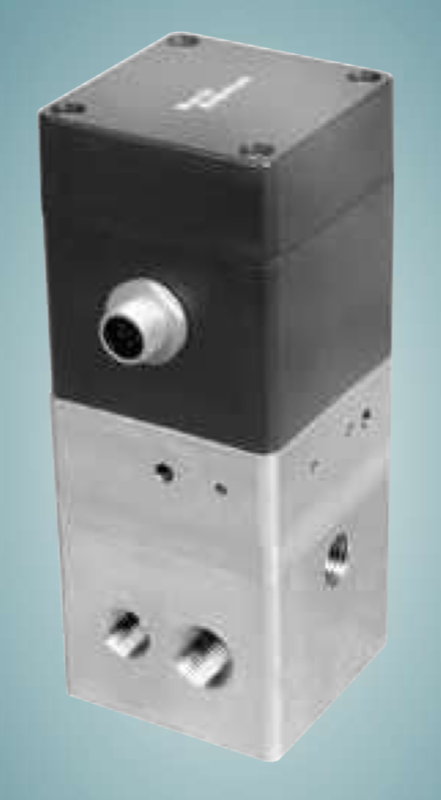 Marsh Bellofram precision air pressure regulators provide a high level of control, accuracy, and stability with large flow and exhaust capabilities for a variety of applications. 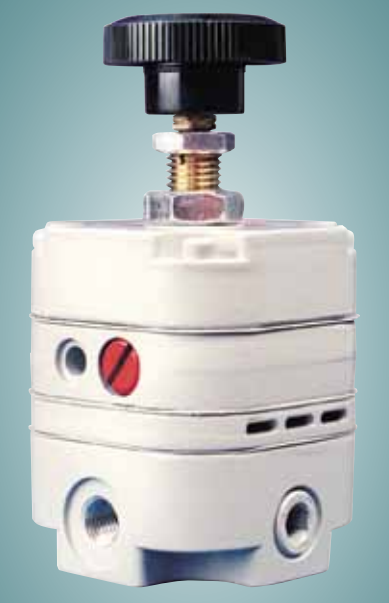 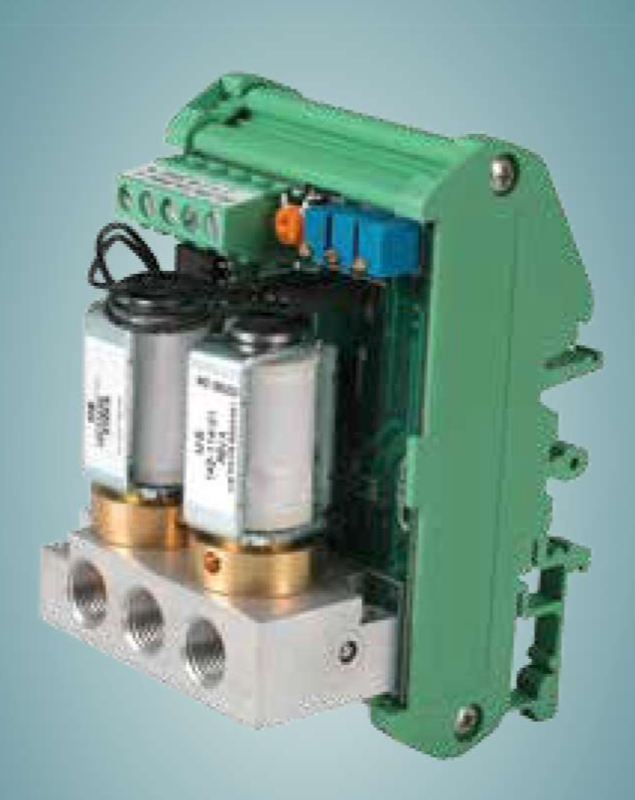 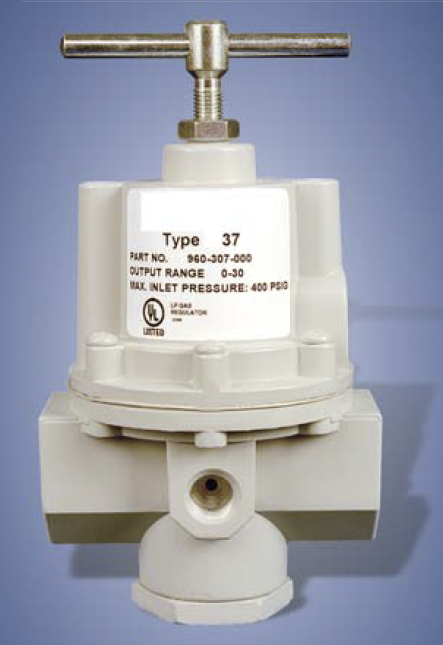 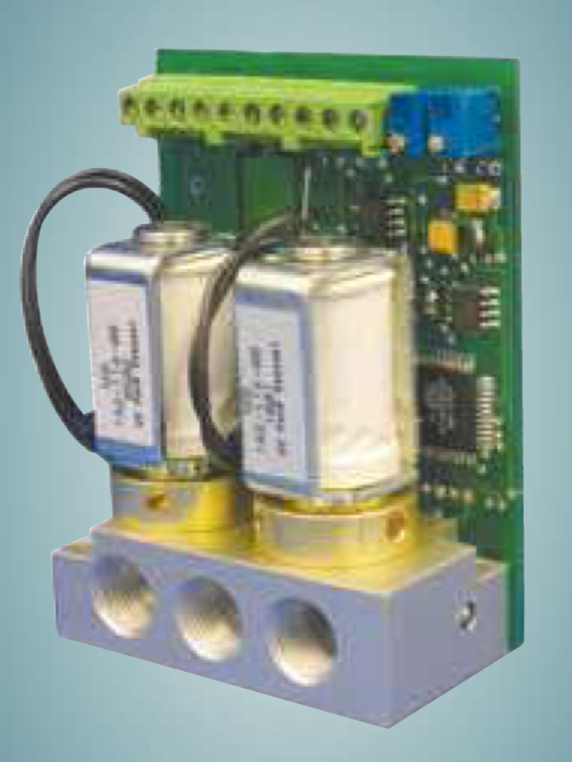 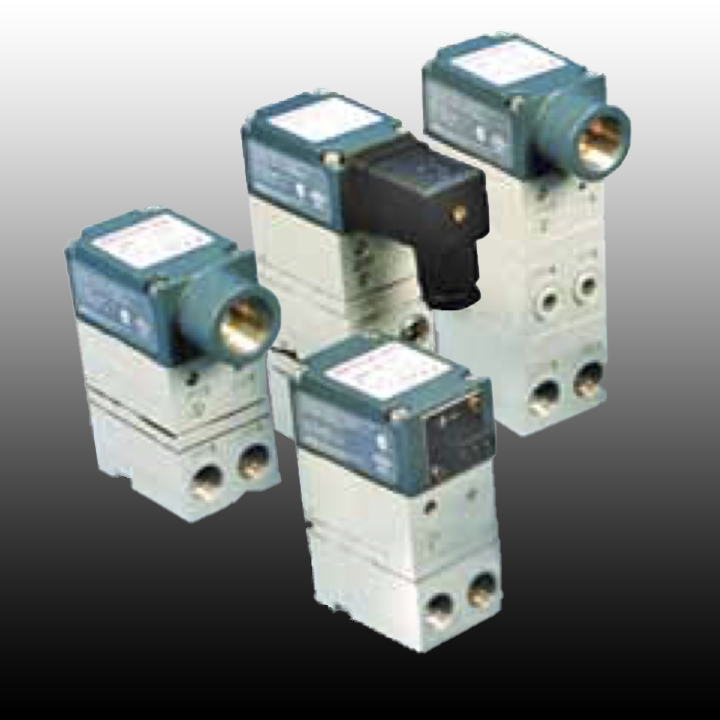 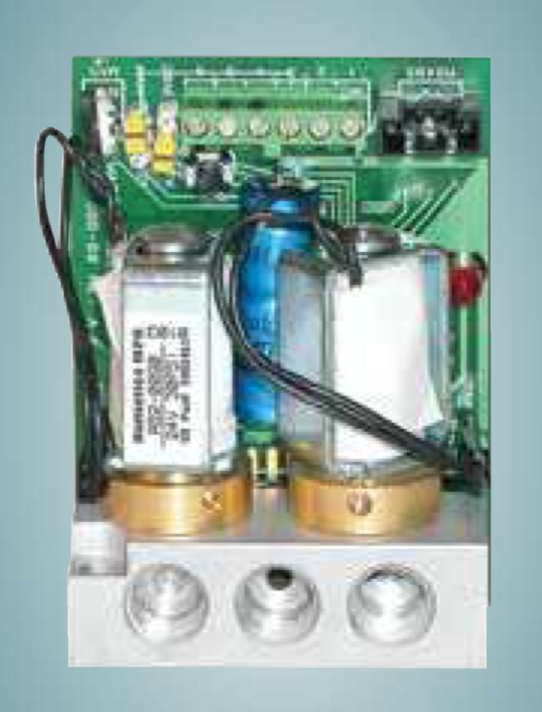 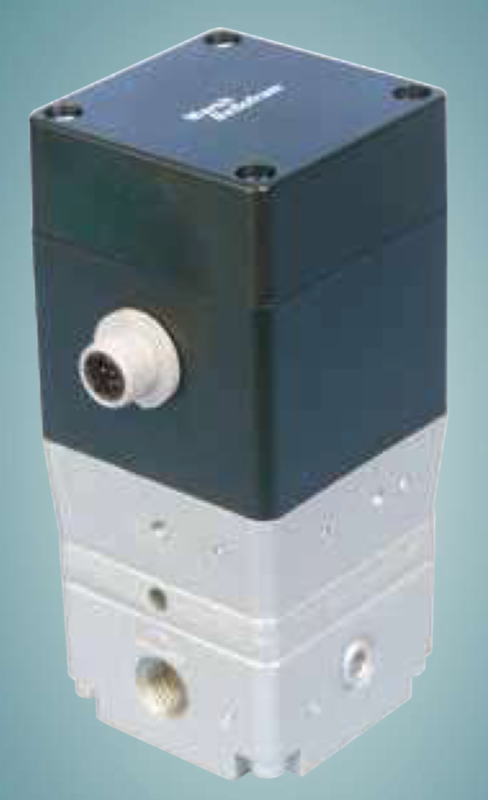 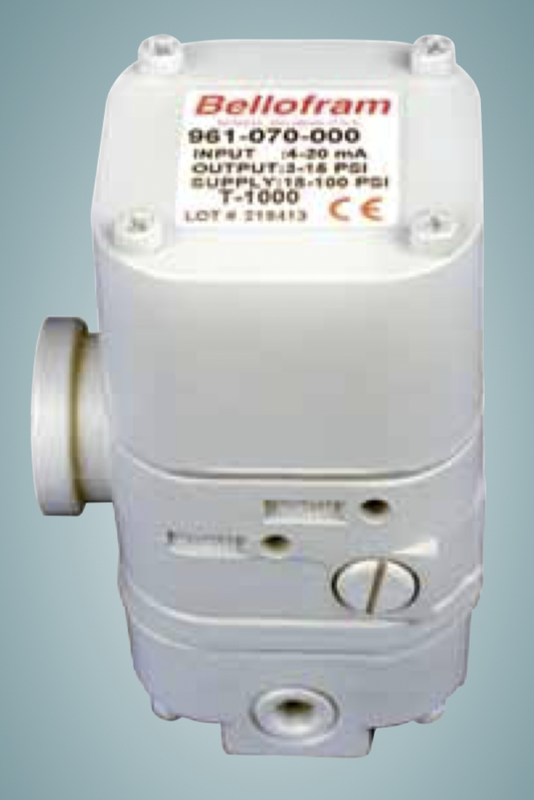 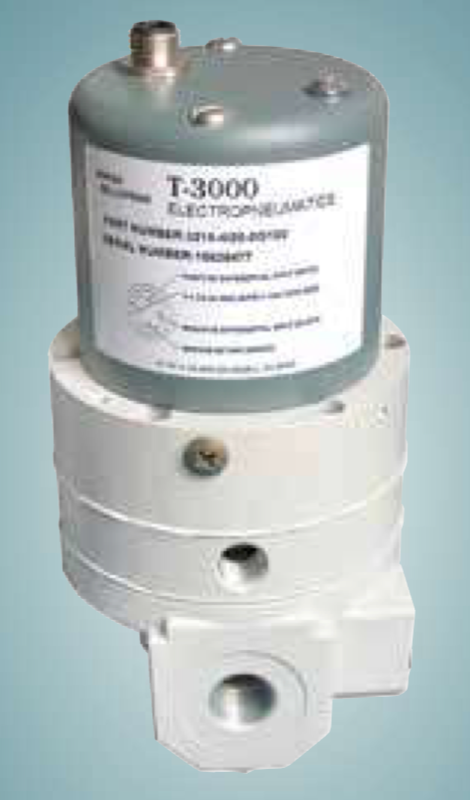 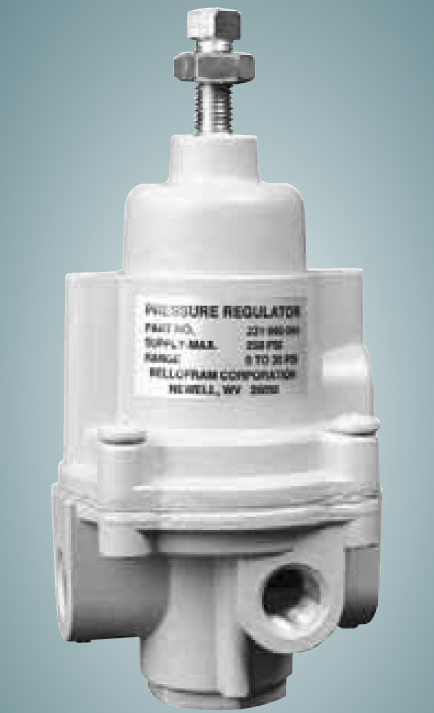 Marsh Bellofram offers several versions and types of pneumatic (air) relays to provide cost-effective, high-performance air regulation. 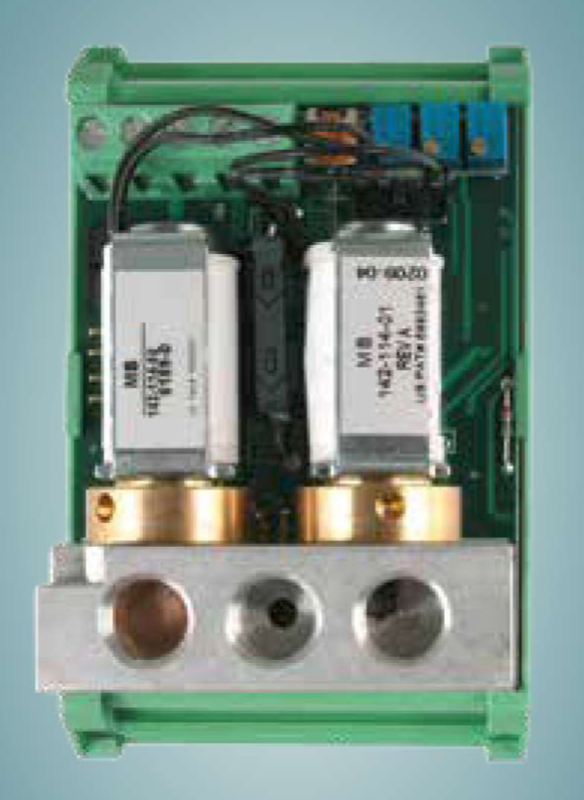 Among the relays they offer are positive and negative biasing, high relief, adjustable bias, and more. 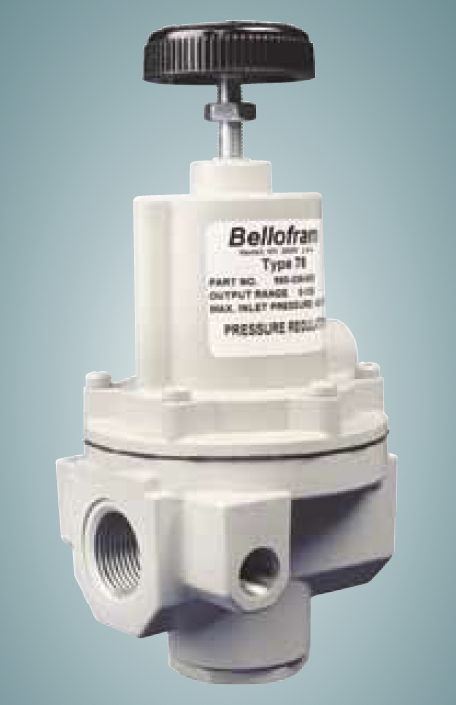 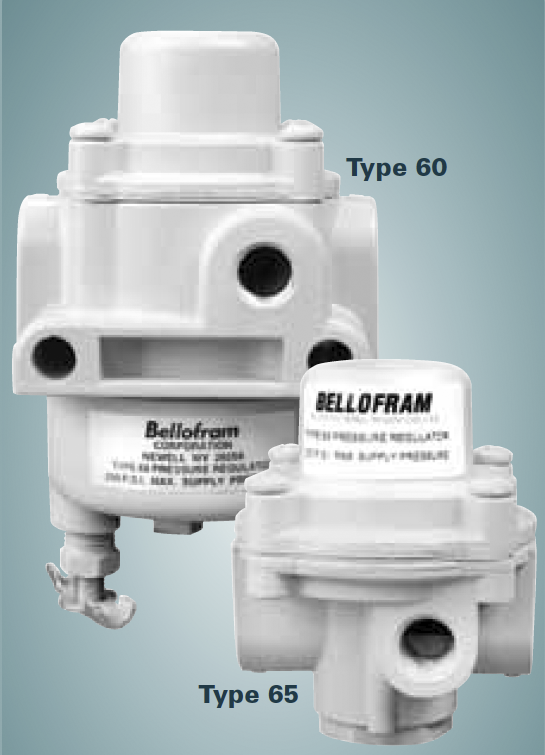 Bellofram PCD designs and manufactures electro-pneumatic, high-precision voltage-to-pressure (E/P), current-to-pressure (I/P), and pressure-to-current (P/I) transducers to provide process control in valves, pneumatic relays, and flow regulators. 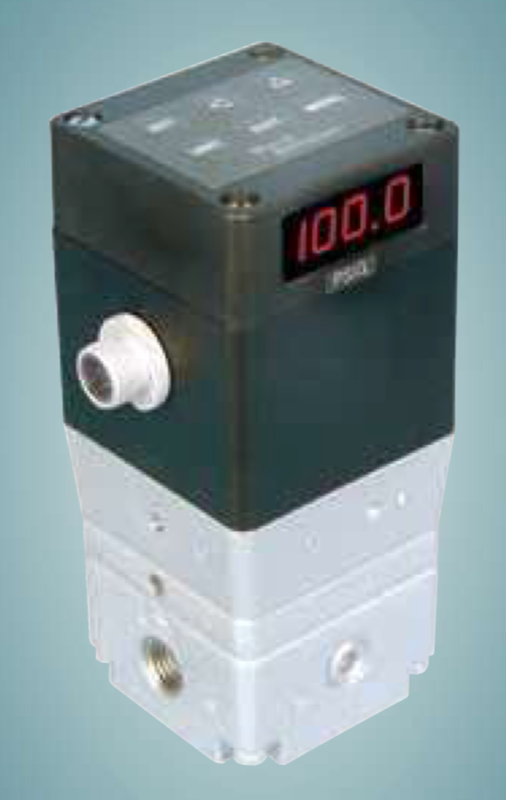 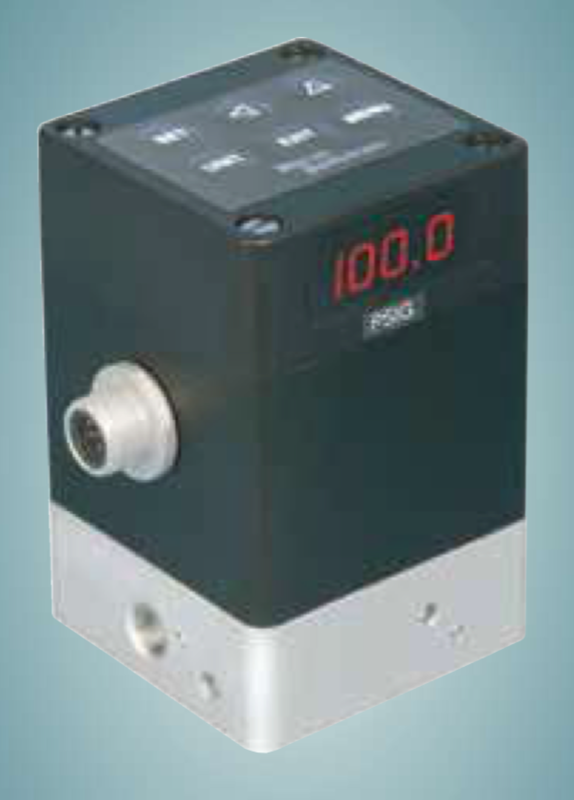 Marsh Bellofram offers a range of servo pressure controllers to meet the process control needs of a variety of HVAC, industrial, medical, and OEM applications. 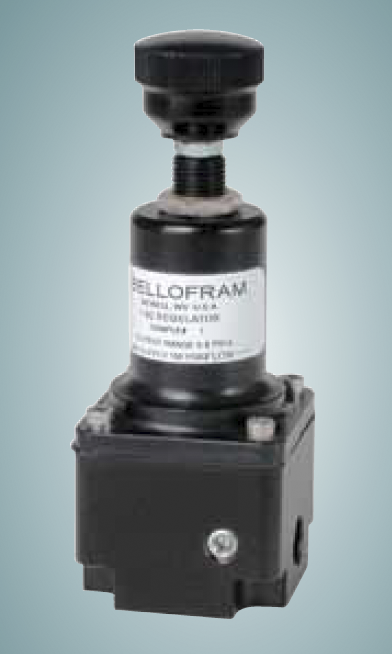 In addition to the servo pressure controllers listed in the table below, Marsh Bellofram offers a variety of compatible accessories and mounting options for the equipment. 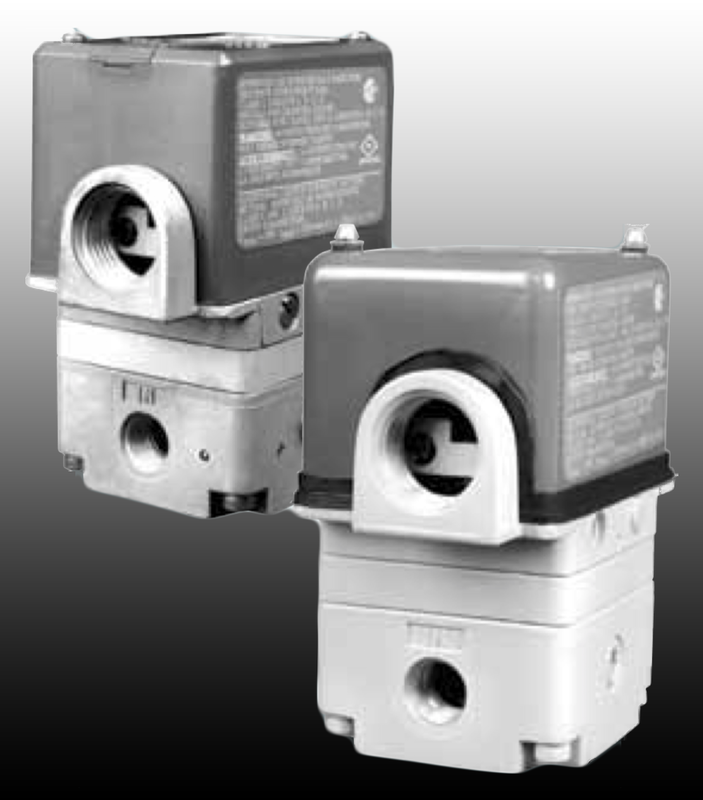 For more information, see the Mounting Options and Accessories Datasheet launch and contact us to start your order. 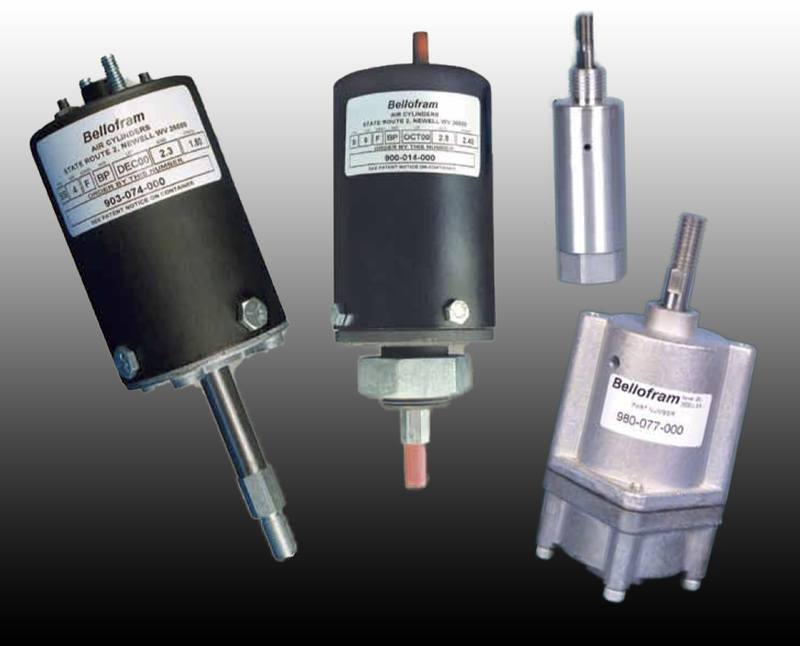 The Marsh Bellofram Group of Companies offers three different types of diaphragm air cylinders: standard, super, and small bore. 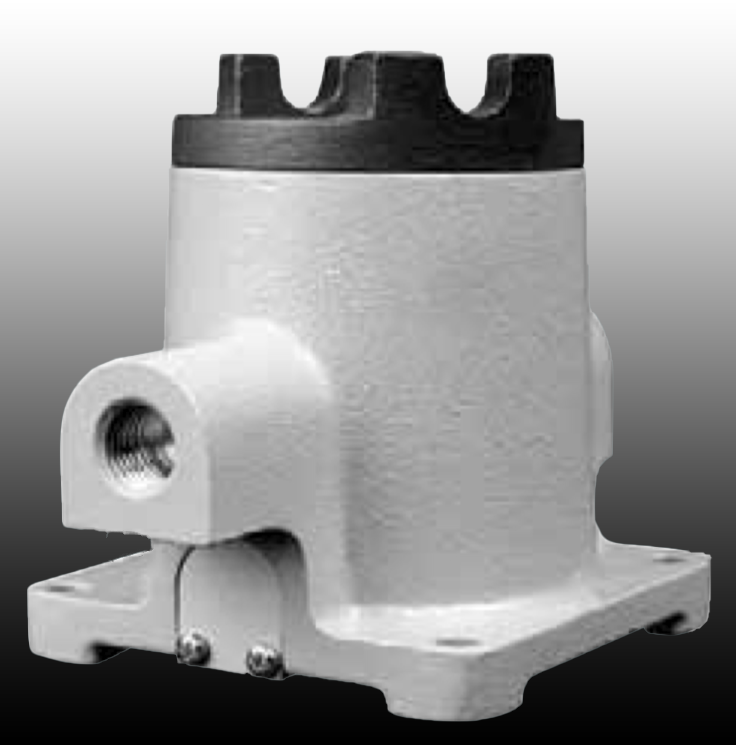 They require no lubrication, are virtually frictionless, and economical for uses such as lifting, clamping, pushing, coining, turning, and other linear force or actuation motions in a variety of applications. 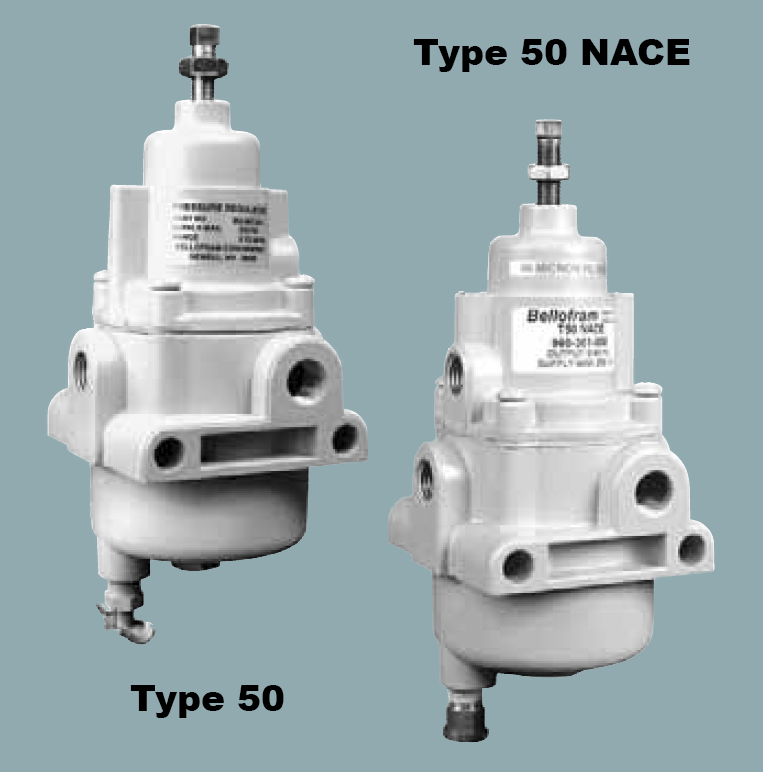 These diaphragm air cylinders can be used with vacuum and gaseous pressure systems, and are often used as the following: expansion chambers, accumulators, pumps, reservoirs, shock mounts, impact absorbers, weld drivers, tensioners, dancer rolls, valve actuation, and louver controls. 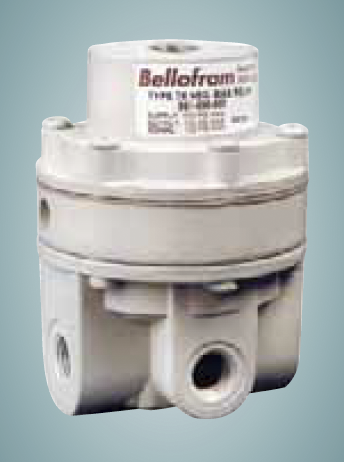 For more information about Bellofram's line of diaphragm air cylingers, see the Diaphram Air Cylinders Datasheet launch and contact us to start your order. 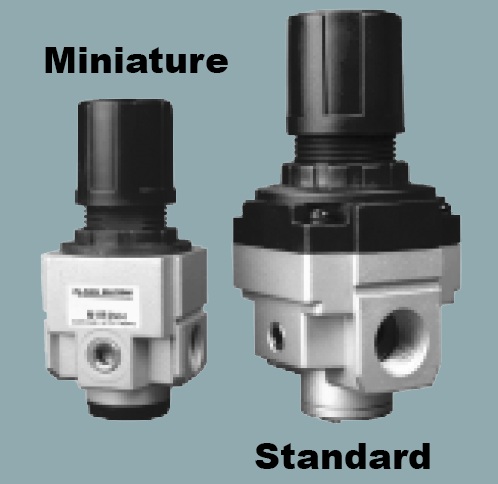 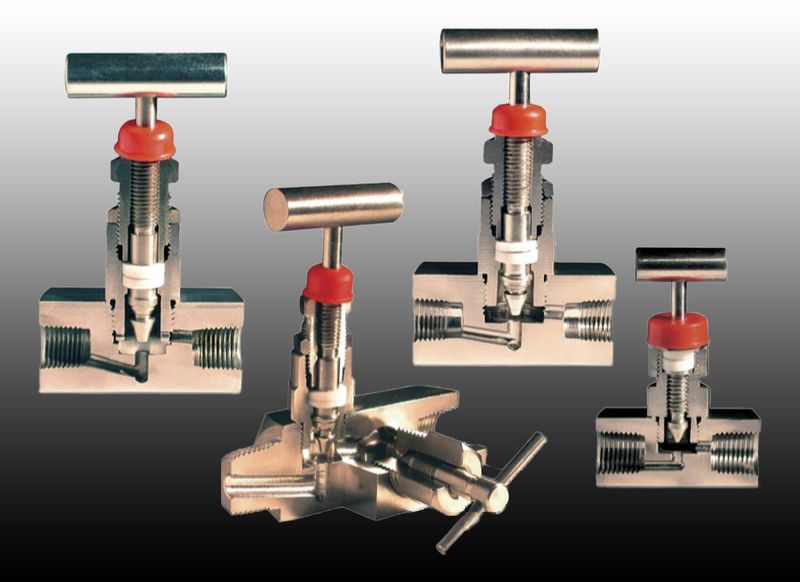 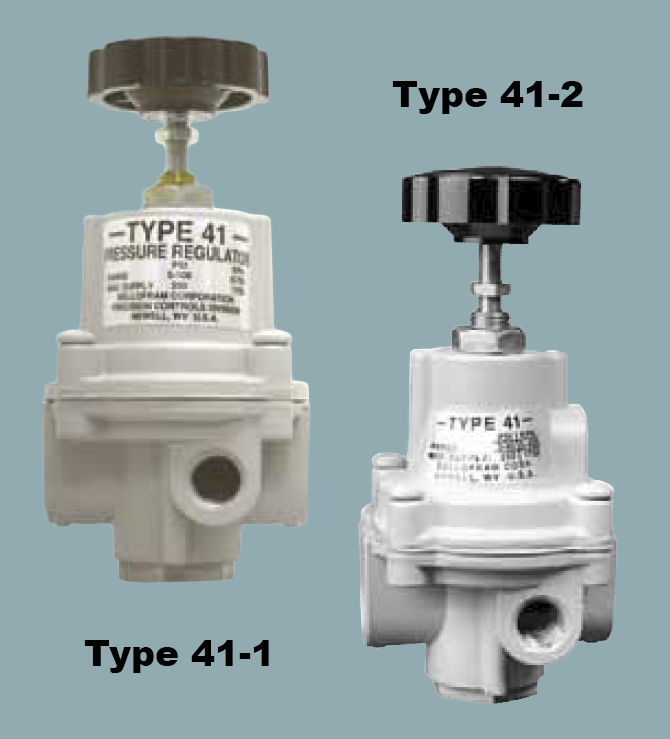 Bellofram standard needle valves are offered in several styles and materials, and are applicable to instrumentation, process plants, oil and gas production, and general applications that require isolation and positive shutoff. 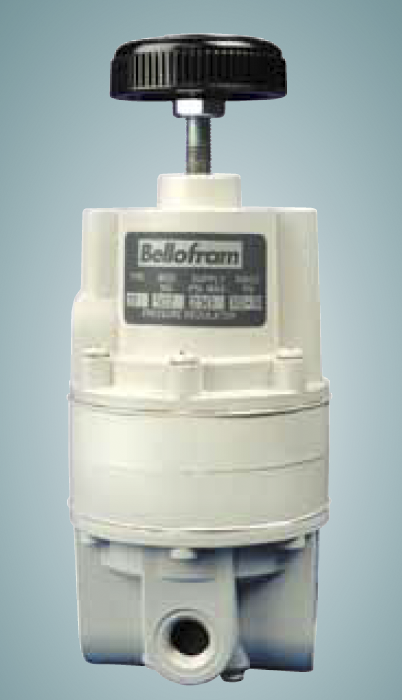 For more information, see the Bellofram Needle Valve Datasheet launch and contact us to start your order.